“This is the new punk. Republican is the new cool,” said Milo Yiannopoulos at the reception for #DaddyWillSaveUs, a pro-Trump art exhibition that opened Saturday at Wallplay’s Gallery 151 in Chelsea. How do you trump a Make America Great Again hat? It’s easy. 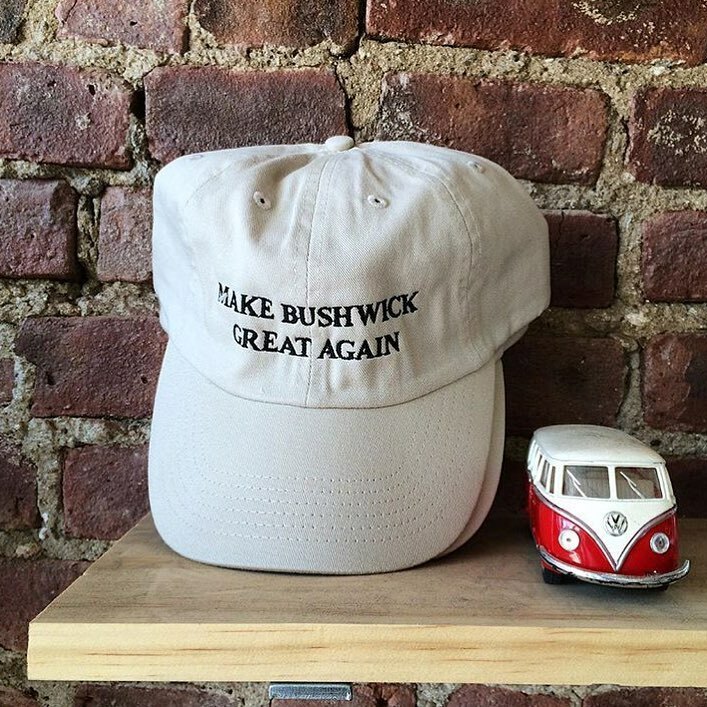 Go to Father Knows Best and snag a “Make Bushwick Great Again” snapback.